When I try to back up my iPhone and iPad a message keeps coming up saying "the last back up could not be completed"– from iMore user. "Why won't my iPhone backup?" problem varies depending on which way you choose to backup iPhone. Commonly, we backup iPhone through iTunes or iCloud that is kind of well-known good helper as well as trouble-maker. When the backup could not be completed in iTunes or iCloud, various possible causes could explain the problems, but how about the solutions to solve my iPhone won't backup to iCloud, iTunes or computer? Please go on to learn how to do with the following tips plus an iPhone backup software to solve the problem once for all. How to Solve Why Won't My iPhone Backup without Any Trouble? 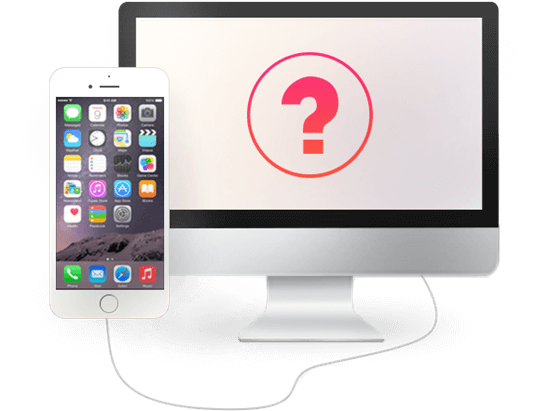 The answer is DearMob iPhone Manager, a versatile iPhone backup software, that could one-click backup iPhone to computer with zero data loss and transfer iPhone data media like contacts, messages, music, photos, videos, etc to Mac PC as easy as ABC. No need of iCloud, iTunes and WiFi, backup iPhone and restore the backup anytime. Why Won't My iPhone Backup to iCloud? Why Won't My iPhone Backup to iTunes? How to Solve iPhone Won't Backup without iTunes & iCloud? There are various factors causing iPhone won't backup to iCloud, but most of them are easy to handle and the commonest problems boil down to two causes: no WiFi connection and limited iCloud storage space. iPhone won't backup to iCloud automatically: iCloud backup could not be completed unless there is a strong WiFi network. Make sure that your iPhone is always connected to a WiFi network when you want to automatically backup iPhone via iCloud, and then turn on iCloud Backup in Settings -> [your name] -> iCloud -> iCloud Backup. Also, make sure your device's screen is locked and there is enough available space in iCloud for backup. It is worthwhile to note that if you connect to public Internet networks like school or business networks that have profile or restriction settings, you may need to get some help from the administrator to enable "iCloud Backup". iCloud storage space is not enough for iPhone backup: "iPhone Backup Failed. You do not have enough space in iCloud to back up this iPhone." When you see this kind of message, you may need to delete previous iCloud backups like delete music to free up the space or just upgrade your iCloud storage plan to solve why won't my iPhone backup to iCloud. Some error messages pop up: If there are still some error messages popping up to inform you that your iPhone won't backup to iCloud, you can try to restart your iPhone, update your iOS to the latest version like iOS 12, log out from iCloud and then log back in, or just reset all settings or restore your device via iTunes. Besides iCloud, iTunes is another usual way we use to backup iPhone. However, we more or less have seen the error message "iTunes could not backup the iPhone '(name)' because the backup could not be saved on the computer", or a "session failed". iPhone won't backup to iTunes problems vary due to different reasons and you may need to take some different actions as follows but not just following the alert dialog instructions in iTunes. 1. Update your iTunes and iOS to the latest version. 2. Make sure the USB cable is original from Apple, or try another USB port. 3. Connect your iPhone to computer via USB cable to make sure that iTunes can recognize your iPhone. If your device doesn't appear in iTunes, you should fix iTunes not recongnizing iPhone problem first. Sometimes when you connect your iPhone to iTunes, there is iTunes error code popping up to inform you that you need solutions. 4. If you are using a Windows PC and your iPhone won't backup to iTunes, you may need to update, change, disable or uninstall your security software, and also update the Windows OS. 5. Turn off both your computer and iPhone, and then restart them again. Or you can try to backup your iPhone on your other Mac or PC. If why won't my iPhone backup to iTunes issue still exists, you can continue to learn what to do next. If a message says there is no enough disk space on computer to backup your iPhone, you should free some space on your Mac or PC. Or you can change iTunes backup location from disk C to other partitions. How to Solve iPhone Won't Backup without iTunes and iCloud? Sometimes you may have no patience to solve every iPhone won't backup to iCloud or iTunes problem step by step, and sometimes you may have tried hard to fix these issues but find it doesn't work. So, we'd like to introduce to you a different yet easy way to backup iPhone without iTunes and iCloud. DearMob iPhone Manager comes out as the best iTunes alternative and the very iPhone backup software that can help bulk backup iPhone iPad or iPod to PC and Mac without losing any data. Totally different from iTunes, why won't my iPhone backup to iCloud, iTunes or computer would not appear with DearMob iPhone Manager. Despite it is a wired way that seems less convenient than iCloud, it never ask you for more money to upgrade your plan to extend the storage space. Step 1. Download, install DearMob iPhone Manager on your computer and launch it. Step 3. Click "Backup" button to backup iPhone to computer. When you access the backup window, you can see two options. Backup Now part allows you to transfer everything from iPhone to computer, and Restore part can restore iPhone without iTunes: the data you backed up in advance. Step 4. Just click "Backup Now" to backup all data from iPhone to computer. Notice: Once you connect your iPhone to computer, you will see there are another 12 options on the UI of DearMob iPhone Manager. If you want to manage specific type of your iPhone data, you can selectively try each one of them. Besides, you are allowed to find everything you backed up on computer with it. Try DearMob iPhone Manager once and you will love it. 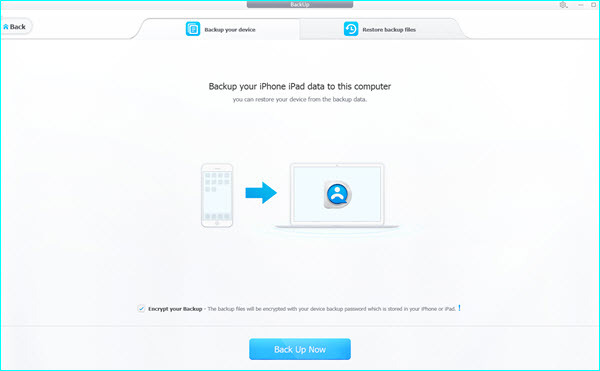 As a professional iPhone data backup transfer tool, DearMob iPhone Manager recognizes your iPhone easily and categorizes your iPhone data like to help backup and transfer contacts, messages, apps, bookmarks, calendars, etc to new iPhone XS/XS Max/XR or computer. As for iPhone media backup like music, photos and videos, this iTunes alternative will also offer you super convenience. How to Backup and Restore iPhone without WiFi?